This beautiful Christmas Ornament is shatter proof...Sweet !!! 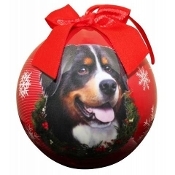 Celebrate the holidays with this ornament hanging from the tree !!!! Free Shipping.